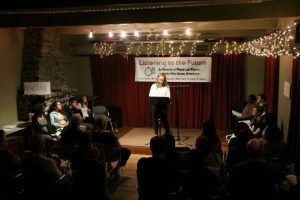 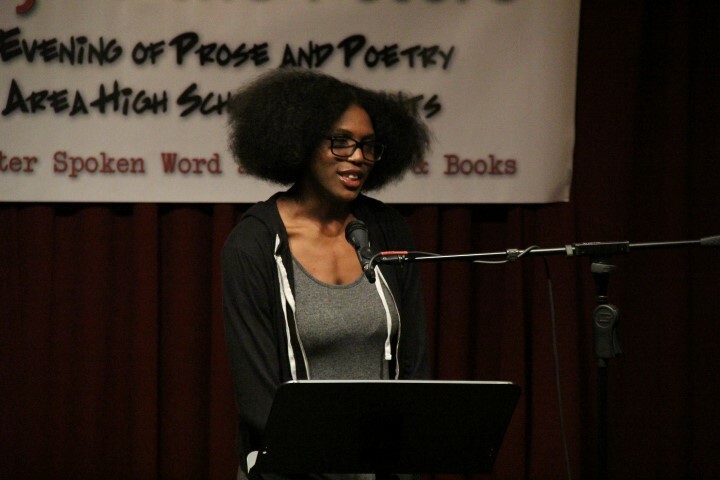 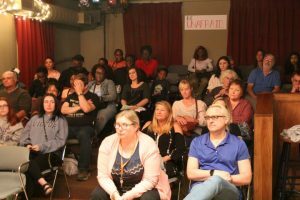 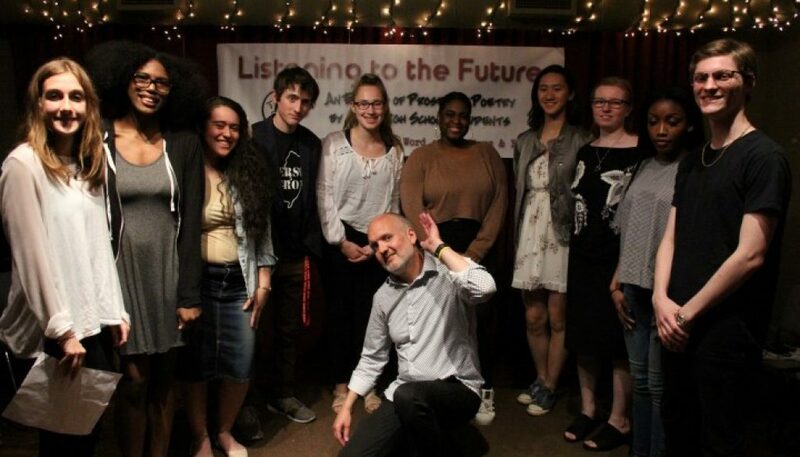 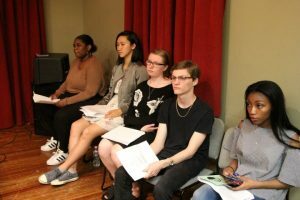 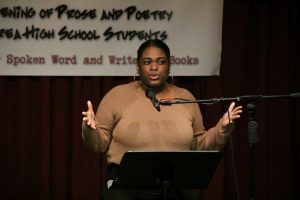 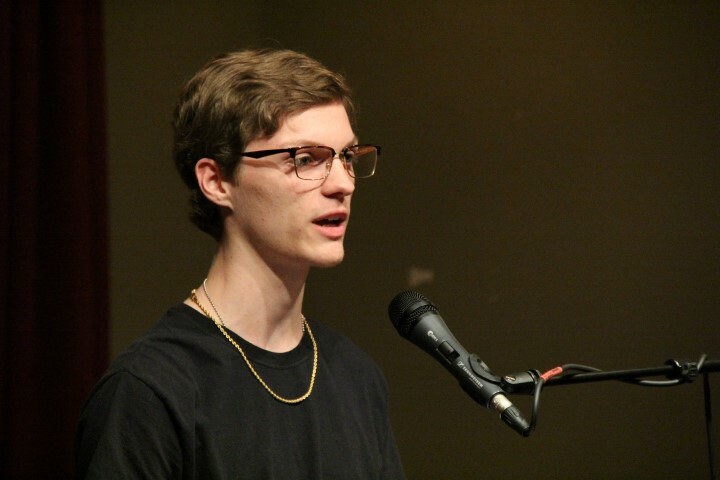 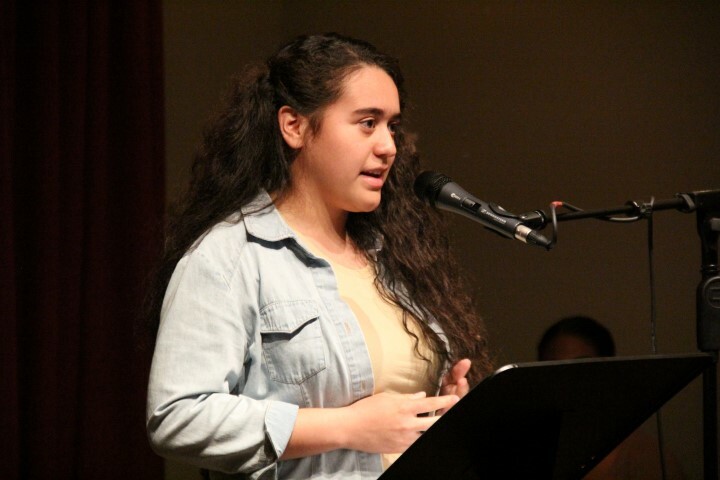 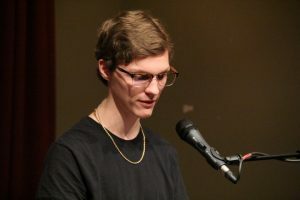 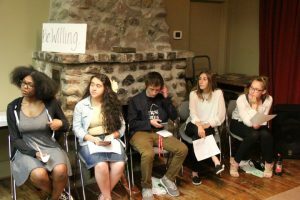 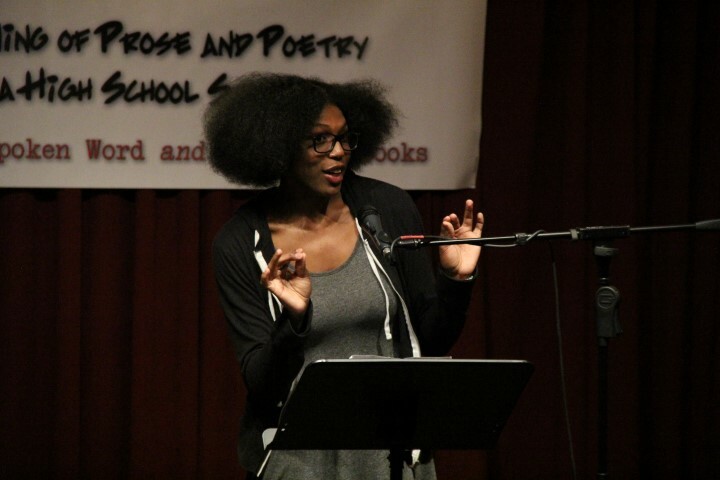 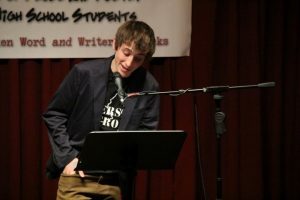 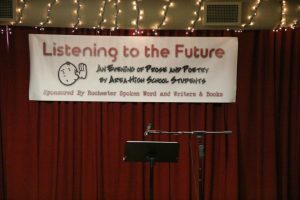 On Thursday, June 7, the performance space at Writers & Books came alive with the voices of 10 area high school students who shared their short works as part of the second annual Listening to the Future event. 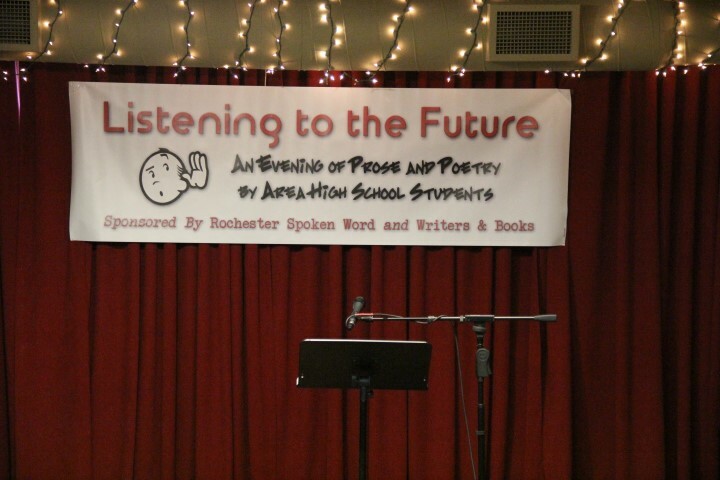 It was a wonderful evening showcasing some amazing talent. 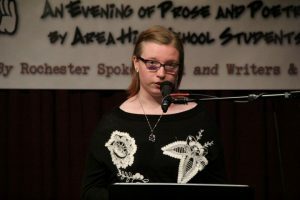 This year’s readers were nominated by their teachers in May following a call for participants, and we greatly thank them for taking the time to introduce us to their students. 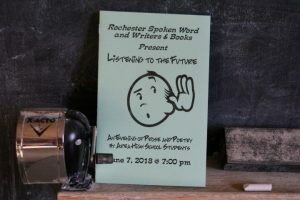 It was obvious from the repeated hearty applause that the large audience was liking what they were hearing, and what they were hearing were the voices of the future — voices we’ll be hearing from again down the road. Sally Bittner Bonn and the Staff of Writers & Books for their invaluable assistance and for co-sponsoring the event. Wendy Low for her nomination (who unfortunately couldn’t attend). 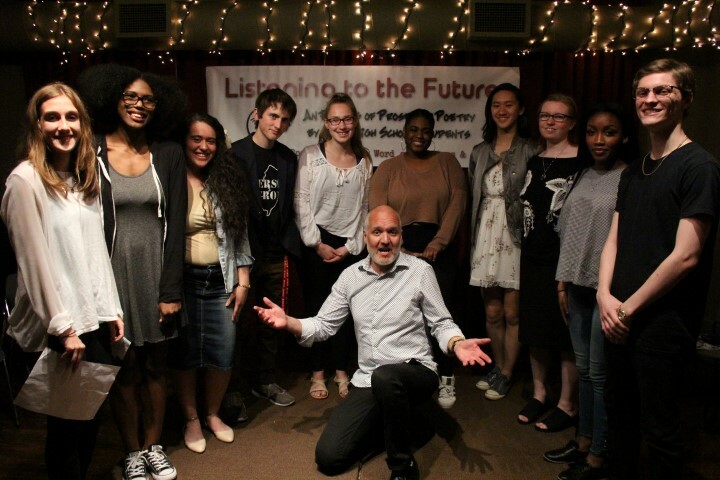 Martin Petrella for photographing the event. Rebecca Haskins for making popcorn and selling T-shirts. 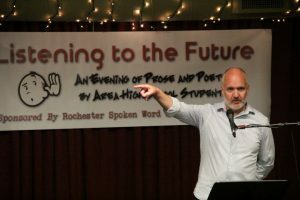 Rochester Spoken Word co-founder and the night’s MC, Scott Seifritz, welcomes the crowd. 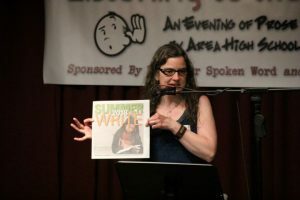 Sally Bittner Bonn, Director of Youth Education at Writers & Books talks about some of her organization’s youth offerings. 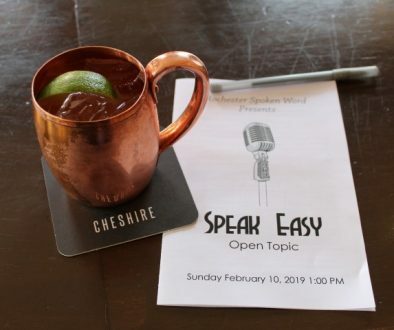 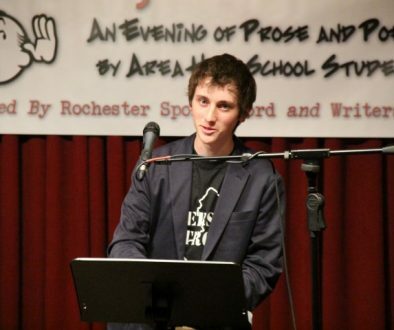 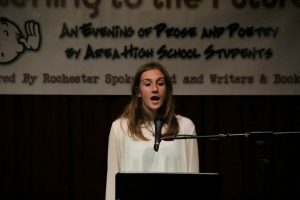 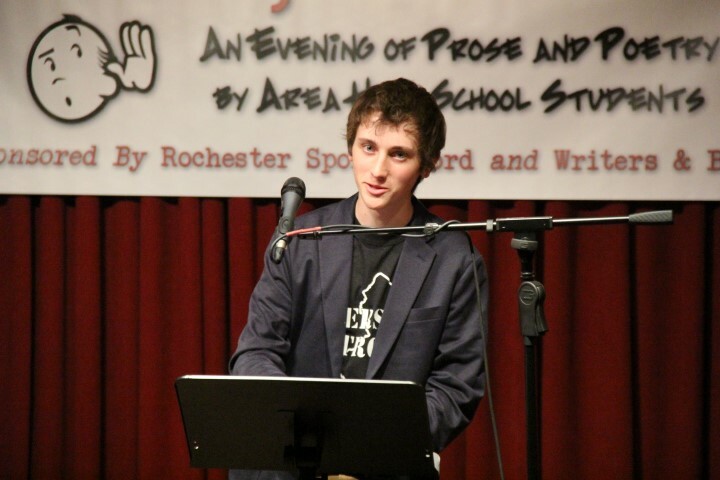 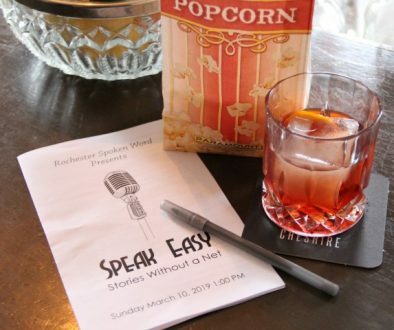 Rochester Spoken Word co-founder and English teacher at Pittsford Sutherland, Evvy Fanning, offers some insight into the evening’s performances. 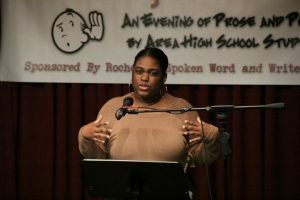 Ja’Miah Smith reading ImMATURE Teen. 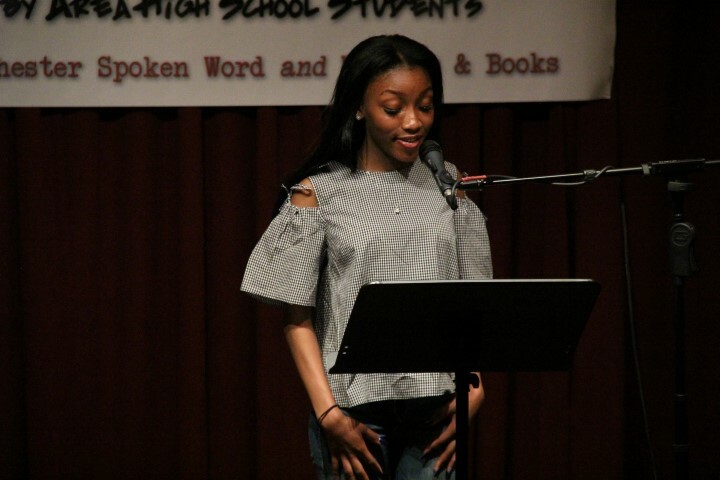 Ja’Miah is a sophomore at School of the Arts. 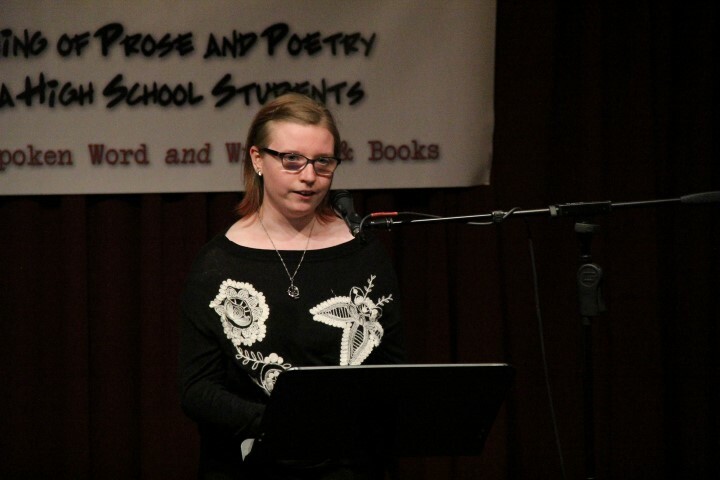 Isabell Moyer reading A Cave. Isabell is a sophomore at Pittsford Sutherland. 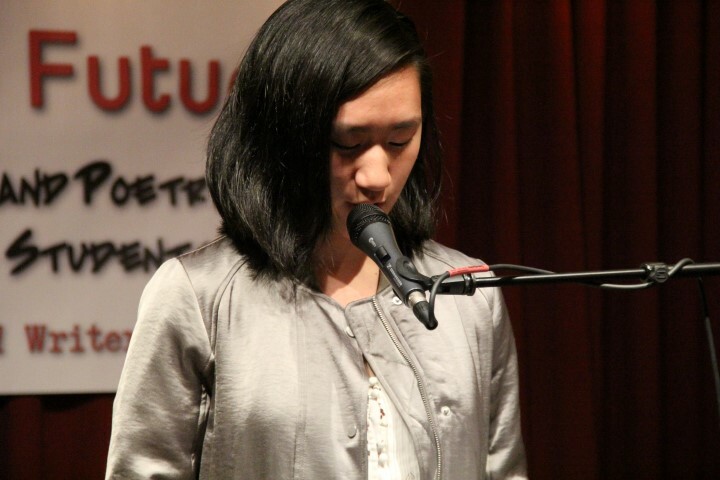 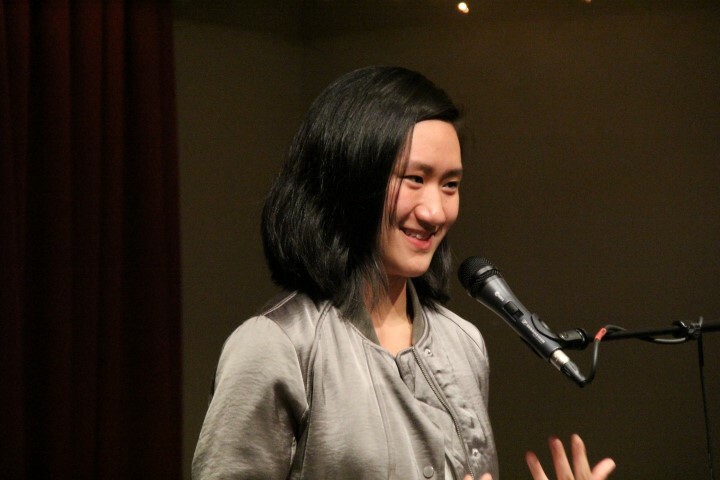 Lucy Qian reading an excerpt from Destiny’s Assassin. 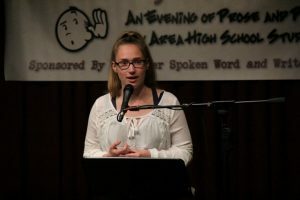 Lucy is a sophomore at Victor High School. 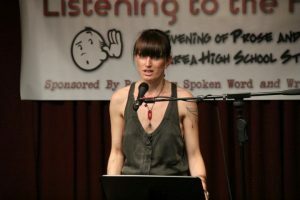 Ilsa Kloiber reading Crash and Burn. Ilsa is a freshman at Victor High School. 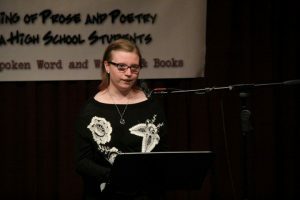 Liv Davenport reading The Beast. 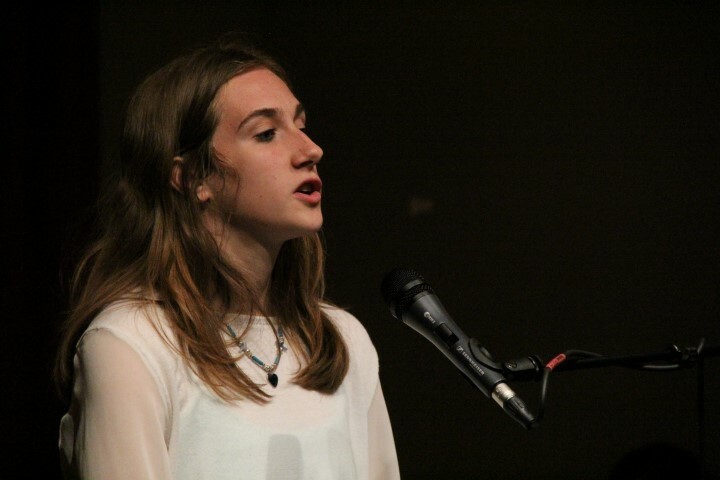 Liv is a sophomore at Odyssey Academy in Greece. 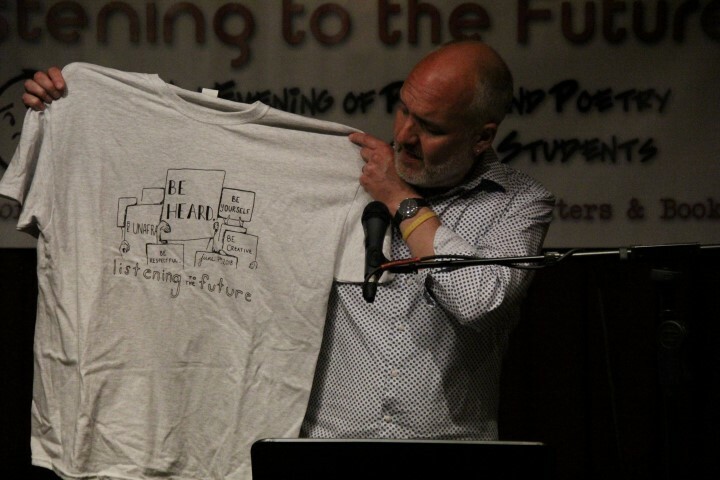 Scott hawks T-shirts designed by Becca Flisnik, this year’s logo contest winner. 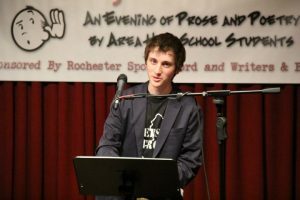 Evan is a senior at Pittsford Sutherland. Jacob is a senior at Victor High School. The view of the lovely audience from the stage. Mariangelis Gonzalez reading Tainos Enchantment. Mariangelis is a junior at School of the Arts. 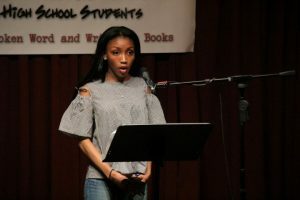 Mardasia is a senior at Pittsford Sutherland. 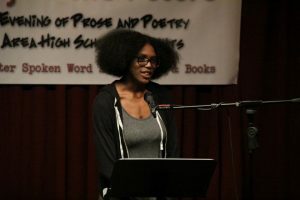 Phoofa Walton-Carter reading I Am Not a Love Poet. 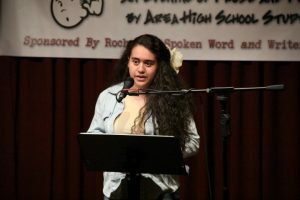 Phoofa is a sophomore at Odyssey Academy in Greece.